Penguin Random House, GoodReads, Mashable, and the National Book Foundation have joined to sponsor National Readathon Day. The event aims to promote and fund literacy and reading. You can get involved by joining readers across America in a marathon reading session on Saturday, January 24. From Noon – 4 PM in our respective time zones, we will sit and read a book in our own home, library, school or bookstore. Funds are raised by getting family and friends to donate via Firstgiving. There will also be group events at libraries, schools and bookstores. The proceeds will be donated to National Book Foundation. The hashtag for the event is #timetoread. 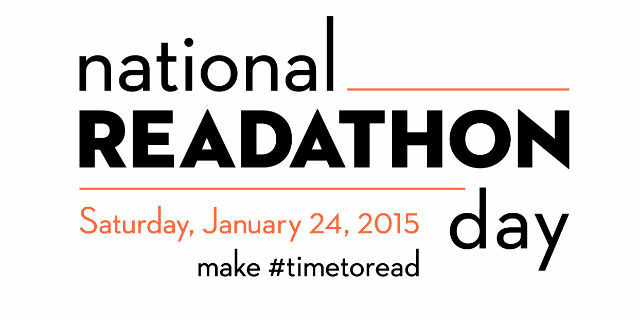 You can find out more information and details on how to participate on the National Readathon Day page.